Australian guitarist Stu Marshall (DEATH DEALER, Empires Of Eden) revealed his new ESP artist model guitar called Stu RS (Random Star) Custom. ESP / EII guitars build a custom for him. The specs of the guitar are all he wanted. 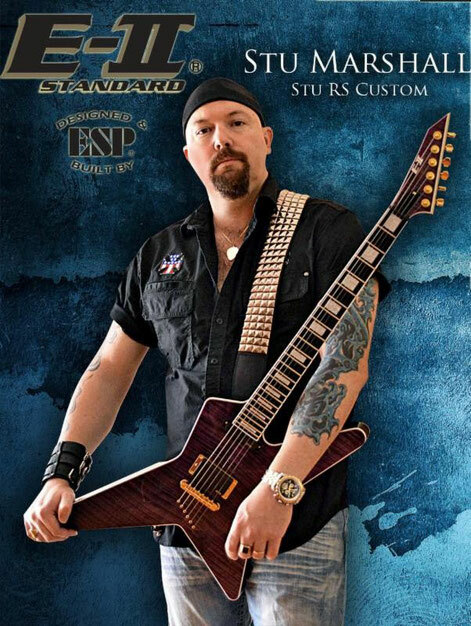 Stu recently stated "ESP guitars have built me my dream axe and honored me with naming it the 'Stu Random Star'".